Ezra Cipes is proud to carry on the family legacy at Summerhill Pyramid Winery. Since the Cipes family moved from New York to Summerhill Vineyard in Kelowna, British Columbia when Cipes was five, he has grown up in the wine industry and feels blessed to now lead a company dedicated to creating beauty in collaboration with nature. Cipes has a multitude of passions and talents. After working in the wine production cellar while attending public school in Kelowna, Ezra embarked on a career in music. He worked as a touring and session musician and became a published songwriter. But despite his love for music, Cipes felt called back to the vineyard. Home on the family farm, Cipes initiated a half acre permaculture garden, selling vegetables and herbs to Summerhill’s onsite Sunset Organic Bistro. After reconnecting with the winery and the land, Cipes knew he needed to assume a greater role at the winery. He became Chief Operations Officer in 2008 and CEO in 2012. What was the moment when Ezra realized he wanted to leave the music industry and come back to wine? What is Ezra’s favourite failure? Is there a moment in Ezra’s wine career so far that stands out? What are some of the experiences Ezra learned most from his years in the wine industry? Why does Ezra prefer mature wines? What is the significance of the pyramid to Summerhill? How does biodynamics play a role in winemaking? What makes a wine vegetarian? Why do most wineries use non-vegan fining agents? How do you distinguish between a vegan and a gluten-free wine? Can you pair vegan wines with meat? What’s the story behind the label for the Alive wines? How does the sulphur content of vegan and vegetarian wines compare to others? 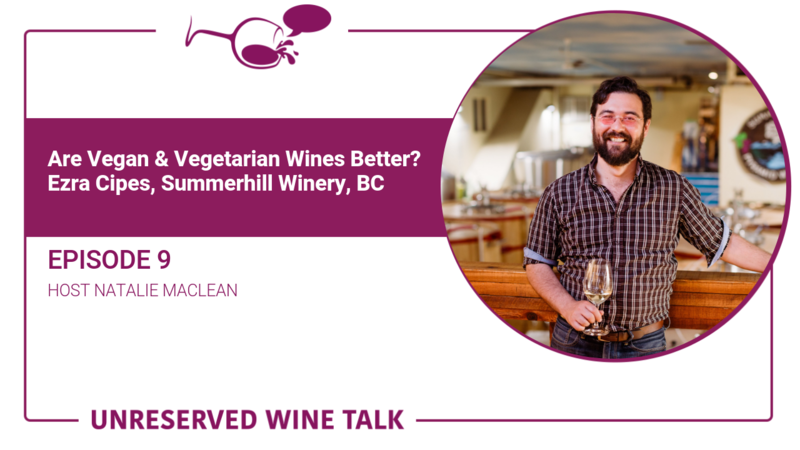 Is Summerhill Pyramid Winery both organic and biodynamic? What are some of the main challenges in producing vegan wine? What’s the difference between natural and vegan/vegetarian wine? Which types of wine are the Okanagan Valley known for? What is Ezra’s favourite wine gadget? You can also watch the video interview with Ezra that includes bonus content and behind-the-scenes questions and answers that weren’t included in this podcast.